Container shipping traffic between China and the United States remains robust. Fleet idle capacity stands at just 1 percent. Traditionally, the yearly peak occurs at the middle of the year before a tapering off in September. 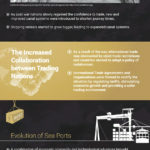 Experts expect container shipping prices to rise as we enter the peak time. Though the new U.S. tariffs may create long-term headwinds for the container shipping industry, demand is expected to exceed supply in the coming months. New capacity will also be slow to come online, which experts expect to support prices by keeping spare capacity low. 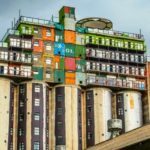 The container shipping market remains poised for strong performance over the next several years. The Shanghai Shipping Exchange’s Containerized Freight Index reports strong spot rate gains. At the end of April, it reported the American shipping lanes enjoyed the strongest growth for the year. The West Coast spot rates showed a weekly surge of 3.9 percent, while the East Coast surged 4.6 percent. There are also indications of increased spot rates for dry van containers moving inland from West Coast ports. For example, DAT’s Rateview shows spot rates for Los Angeles to Dallas increasing from $1.69 in March to $1.77 by the end of April. The Los Angeles to Dallas report includes freight transported to Dallas from the ports of Los Angeles and Long Beach. Container shipping charter rates are also on the upsurge. Stiffel analyst Benjamin Nolan notes that, compared to last year, rates for 9,000 TEU vessels are up 29 percent, while 4,400 TEU’s are up 3 percent, and 2,000 TEU’s are up a whopping 40 percent. Nolan emphasizes that we have yet to reach the peak summer season. He expects rates to surge further when the summer season brings an uptick in volume. With idle capacity currently at 1 percent, the summer season shipping rates should be supported by a shift towards demand outstripping supply. What about the Long Run? Nolan sees no short-run effect on container shipping from the new U.S. tariffs, but he warns that the tariffs may cause a long-term slowdown for the container shipping sector. As Chinese companies taper shipments to the U.S., the decrease in trade should be sufficient to affect container shipping prices. Despite this longer-term effect, at the moment, many Chinese companies are working overtime to make extra shipments to the U.S., ahead of the tariffs’ effects. Despite seeing healthy global economic growth prospects and tight shipping capacity, Nolan expects container rates to fluctuate only within current ranges. He cites relatively flat near-term deliveries and box rates. Though demand remains strong, indications remain that the container shipping industry still has extra supply from the overcapacity that collapsed prices in 2015. 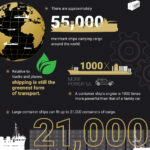 The new tariffs will undoubtedly reduce shipping, but with overall demand remaining strong and overcapacity continuing to narrow, experts still expect sufficient support for maintaining pricing levels. Prices can be expected to increase for the summer season and ebb in the fall, despite the long-term effects of the tariffs. For 2018, container traffic should continue at full speed ahead. 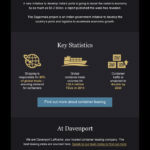 Davenport Laroche’s strategic location, headquartered in Hong Kong, allows investors to benefit from the busiest trading market in the world, China. 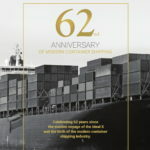 As the world’s preferred container agent, our in-depth knowledge and global network allows us to connect shipping container owners with merchants looking to rent or buy containers for their commercial trade needs. 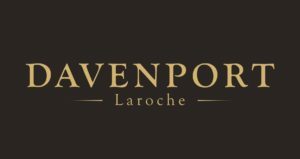 Davenport Laroche is here to help your investments run smoothly and successfully; from sourcing shipping containers, to leasing them, right down to transferring your income. 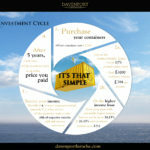 Ultimately simplifying the entire investment process for you. While our goal is to support our investors at every step of the process, investors have full control over their investments. You choose how to lease and when to sell. Our strong track record over the years allows us to identify the most profitable markets for container deployments to maximize investors’ returns.